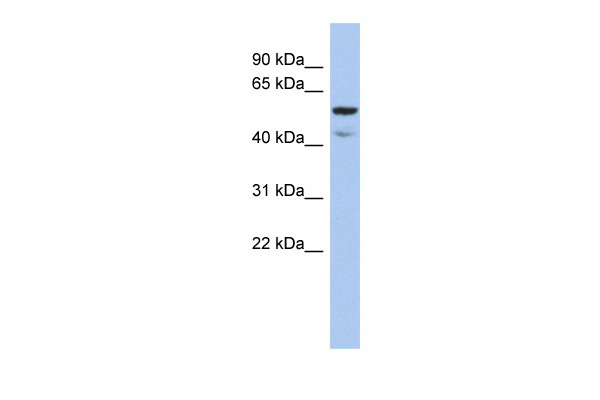 ATE1 polyclonal antibody (A01), Lot # 051128JC01 Western Blot analysis of ATE1 expression in HeLa ( Cat # L013V1 ). 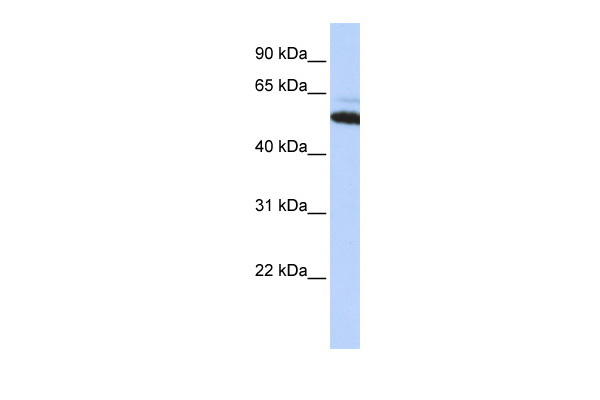 Western Blot analysis of ATE1 expression in transfected 293T cell line (H00011101-T01) by ATE1 MaxPab polyclonal antibody.Lane 1: ATE1 transfected lysate(56.98 KDa).Lane 2: Non-transfected lysate. ATE1 MaxPab polyclonal antibody. Western Blot analysis of ATE1 expression in Hela NE. ATE1 monoclonal antibody (M01), clone 2B6. Western Blot analysis of ATE1 expression in Jurkat(Cat # L017V1 ). Western blot analysis of ATE1 expression in A549 (A); Raw264.7 (B); H9C2 (C) whole cell lysates.